Laure Joliet is an interiors photographer based in Los Angeles. Her work has been featured in The New York Times, West Elm, The Ace Hotel, Dwell, Domino Magazine, Wall Street Journal, Anthology, and more. I first started following and admiring Laure's work in 2015 when we started following each other on List App. Upon looking at her work, her interior shots triggers a sense of peaceful wanderlust and I'm struck by the beauty of them every time. When she agreed to this interview, I was over the moon. She is one of my favorite creatives and photographers. Below, she talks about traveling in between Los Angeles and Paris as a child, the moments she realized that photography could be a full-time career, essentials that she packs for the road, and three of her favorite photos from summer. Los Angeles has almost always been my home base but I think that's only because I get to leave so frequently. I'm third generation native Angeleno on my mom's side and I think that keeps me planted here. My dad's side fills me with wanderlust and that keeps me moving through the world and accepting assignments that put me on planes all the time. How old were you when you picked up your first camera? My dad was always taking pictures as a hobby so he probably let me shoot his film camera when I was five or six but he gave me my own point and shoot when I was nine. It was red and black and shot film and I loved it. My parents were divorced and I spent summers with my dad in France so I would document everything that we did so that I could share with my mom in LA when I got back. I still have all of those photos organized in shoe boxes! I love how quick it can be. I come from a photojournalistic background so I am not normally working on elaborate setups, I am in a space or situation where I am paying attention and trying to grab the shots I need to tell a story and convey a mood. It means putting myself in a certain creative flow where I am very sensitive and aware of my surroundings, but I am also building up little bullet points in my head to make sure the images are telling a bigger story. What is the most exciting trip you have ever been on? I am so lucky to travel all the time for work, but I think my favorite trips remain the ones I do for fun. 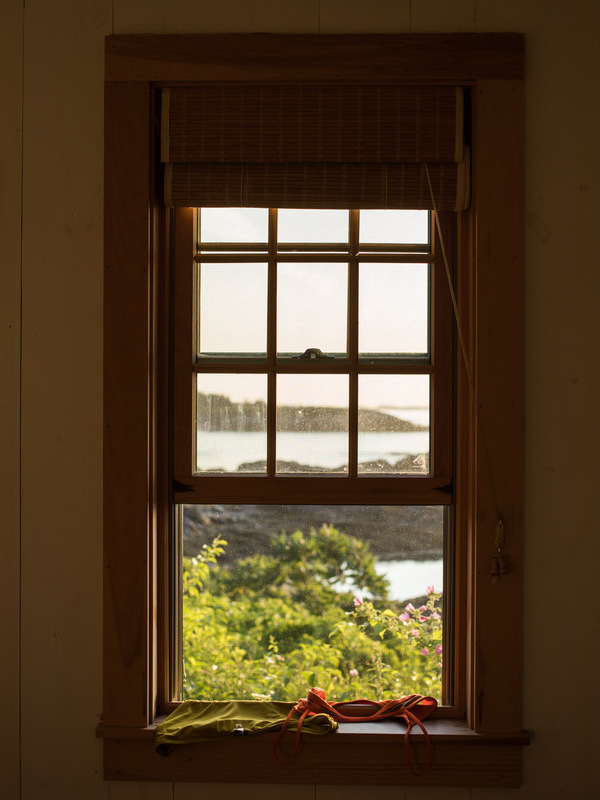 I recently returned to Maine to visit friends who have a house on a peninsula north of Portland. There's something about the landscape, the easy pace of the day and spending time with good friends that fills me up and resets me after so much hectic work. All the times that traveling connected me back to a place in myself I had forgotten about or maybe had never met before. How did you get into photographing interiors? I traveled so much when I was little, in and out of all these different places, bouncing around between LA and Paris. Maybe because of that, the idea of home became something I was very sensitive to. Oh, this is what home is for my grandmother, oh this is what home is for my other grandmother, etc. Because of the language barrier, I think I was particularly observant in France and loved to sneak around taking pictures of little piles of rocks, collections of artworks, dying flowers in a vase. That is the seed of how I started in interiors. A sensitivity and celebration of the details that make up home. From there I went to art school, kept sneaking around people's houses shooting, discovered a real love for design and realized that my skillset made me a perfect candidate to shoot 'real' interiors. What are the top essentials you pack when you're on the road? It took me a long time to really get organized, so I want to say that I have my Pelican packed like a game of Tetris. I know right away if something is missing or out of place and then I am not worried that I am missing any gear. It helps a lot with packing anxiety. On the personal front, I bring essential oil to dab on a Kleenex on the nightstand. It is a familiar smell that fills an overwise foreign hotel room. I always pack a book. I always pack comfy shoes, so that I can go for a walk before working and do a little bit of exploration. I also pack all of my face stuff so that I can continue a complicated face washing regime while away. The older I get and the more I travel the more I find comfort in habits. What story are you hoping to tell with your images? I always hope that the feeling of the space or the person will come through. I care less about perfect interiors and much more about conveying a mood, a feeling, transporting the viewer into another world. What moment made you realize, "I could really do photography for a living"? The first time I got a substantial check (at the time I was working in an office and I did a one day shoot as a freelancer and made almost as much as working an entire month at the office). And when I got my first assignment shooting for a story for the New York Times. I had cold-emailed the editor in the Home and Garden section and she called me within the hour and assigned me a story for 2 days later. Those two moments happened about 2 years apart from each other but were exactly what I needed to keep pushing forward. What inspires and motivates you to keep creating? All of the creative people around me! Also, if I'm honest, anxiety. You can follow Laure on Instagram and visit more of her work here.